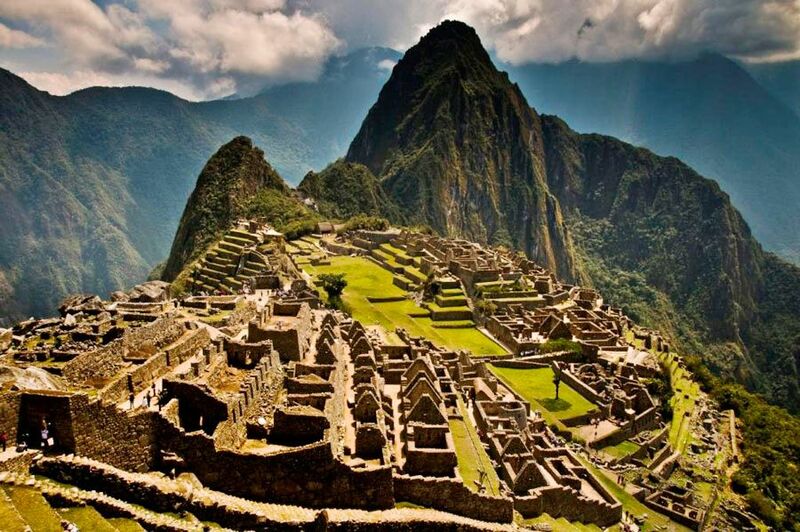 In July of 2011, the centenary of the discovery of Machu Picchu was celebrated. One hundred years ago, this “lost city of the Incas” was rediscovered, having been lost not just for decades but for centuries. The city comprises of many terraces, dwelling places, and other buildings. It had been constructed during the sixteenth century, this amazing find has been considered as one of the Seven Wonders of the World. It is impossible to feel the atmosphere or re-live the experience of this lost civilization without embarking on the Inca trail, these ruins being left unknown to anyone for centuries. Hidden eighty kilometers outside the city of Cusco in the South East of Peru, the city was constructed high up into the Machu Picchu mountain range by the Incan Empire. A left over from this ancient civilization, the discovery of the ruins of this mountain side city was discovered by thirty five year old American explorer, Hiram Bingham. At the time, Bingham was an assisting professor at the University of Connecticut, and he had travelled to Peru as professor of Latin American history in search of the new capital of the Incas, Vilcabamba. This site was the capital of the Incas, after their retreat from the Spanish empire and Cusco, but in search of Vilcabamba, Bingham was not prepared for what he would later find. The lost city was discovered on July 24, 1911, on a day that the mountain range of Machu Picchu was covered by mist, making the discovery even more surreal. Bingham was accompanied on the day by two locals, the crew from his expedition having stayed at camp at the base of the mountain range. The Americans of course did not know that by staying at base camp they would indeed miss out on one of the most astounding discoveries of the modern age. On the day of the discovery, Bingham was accompanied by a local guide, Melchor Arteaga, a peasant from the valley. It is said that the guide told Bingham what was hidden in the thick mist up in the mountain, speaking to him in his mother tongue, Quechua. The language of the Incas, Quechua is still widely spoken today throughout rural Peru. The only other person to accompany Bingham on his trek up the mountain on that day that went down as one of the most important in modern history was Sergeant Carrasco, an assigned Peruvian officer. Machu Picchu means “old peak” in Peruvian dialect and Bingham paid his guide a silver dollar to take him to the city spoken of by the peasant. Nothing however could have prepared Bingham for the site that would come before his eyes on that misty day in the most famous Peruvian valley. 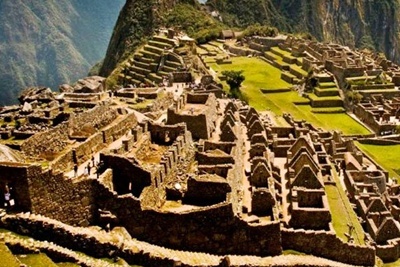 It is estimated that Machu Picchu was built circa 1450 at the time when the Incan empire was flourishing, being abandoned following the Spanish Conquest over a hundred years later, a great number of the population already having died from an outbreak of small pox. To this day, the site high up in the Peruvian mountains is visited both on foot as well as by train by visitors from all over the world who follow the world famous Bingham trail.